Your outing doesn’t have to end when the concert does, with our lodging partners, you can enjoy the fresh mountain air for a little longer. 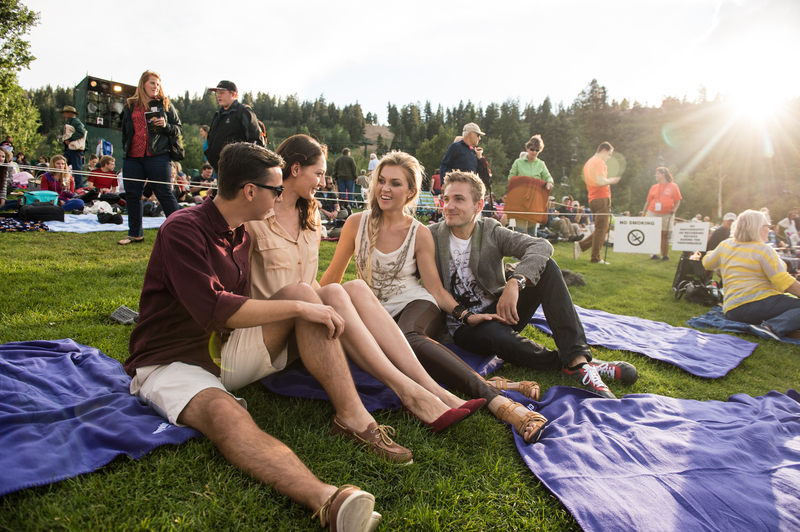 For the best selection at the lowest rates, book through Deer Valley Music Festival. With over fifty hand selected hotels and condos to choose from, you’ll find the location you need at the price you want. Start your search below or call our local experts at 888-754-3279. Elegance in the mountains. A short ride from the concert venue. The ultimate in convenience! This alpine lodge is located at the concert venue. Operated by Deer Valley Resort, you can’t get any closer to the music! Save up to 20% on lodging in deluxe accommodations at Deer Valley Resort Lodging and Reservations managed properties by calling (800) 558-3337. This offer is valid on the weekends that the Utah Symphony’s Deer Valley® Music Festival concerts are held in the Snow Park Outdoor Amphitheater. Advanced purchase is required. To complement your evening, Deer Valley Gourmet Picnic Baskets or Bags may be ordered online at deervalley.com. A legendary mountain resort, 5 minutes from the concert venue! Ride the funicular from your hotel room to the concert venue. Located in the Canyons Resort Village area of Park City Mountain Resort, celebrate the 2018 season with us! DVMF Patrons can receive 15% off a one-night stay in our spacious luxury one-bedroom residences, $50 per stay food credit, and complimentary transportation to Snow Park Outdoor Amphitheatre. To confirm, visit https://parkcity.centric.hyatt.com or call 800-233-1234 and request rate program DVMF18. Deer Valley Music Festival has partnered with Stay Park City, Park City’s local lodging authority, to offer accredited lodging options and property managers. All listings have been hand selected and are properly licensed by Park City Municipal. The Deer Valley Music Festival lodging site does not represent individually owned and managed homes.